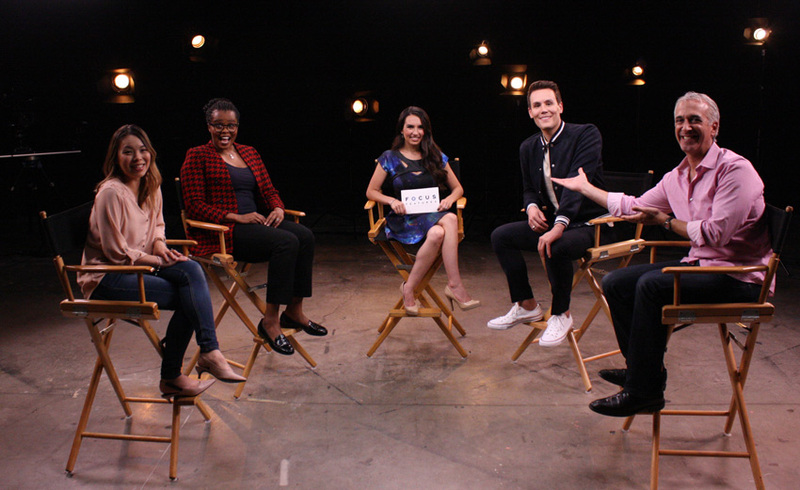 Trisha Hershberger moderates “Women in Film,” the new episode of the Focus Features Facebook series You Know That Scene. Joined by her panel of film and entertainment professionals—Jacqueline Coley (editor, Rotten Tomatoes), Scott Mantz (president, LA Online Film Critics Society), Wendy Lee (actress/content creator, Collider), and Matthew Hoffman (correspondent, Regal Cinemas)—Hershberger leads a spirited conversation on female filmmakers and storytellers. 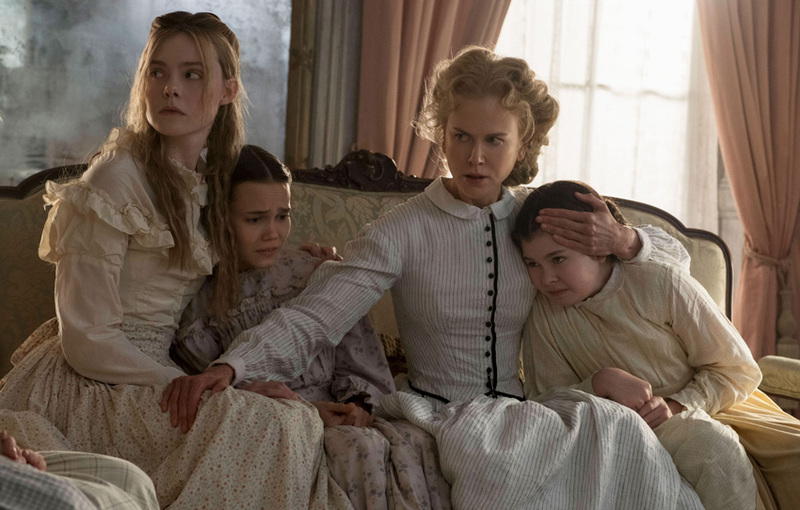 Moving from the hilarious (Bridesmaids, Girls Trip) to the historic (The Beguiled, Mary Queen of Scots), Hershberger and her panel look at how women are bringing a new take on everything from gross-out comedies to period dramas. As a host, writer, producer, actress, and overall tech guru, Hershberger enthusiastically demonstrates expertise that moves from gaming and pop culture to the everyday issues brought up in her video series The Naked Truth. We talked with Hershberger about how she moved from Greek tragedy to gaming advice, why fantasy explains the real world, and how women are bringing their voice to everything from film to comic books. Get tickets to see Mary Queen of Scots today. You work in so many fields, from gaming to tech to pop culture. How do you define yourself? It’s true. I have a hard time labeling myself. What I do most often is work as a show host, mostly in the tech and gaming sphere. But I’m interested in all aspects of popular culture. I currently host shows for Kingston Technology, Newegg, Geek & Sundry, and Nerdist. I also own and operate my own YouTube and Twitch channels. I work on camera for other people but also produce, write, act in my own shows. And I do social media as well since that is a part of everyone's job now. I grew up in a small town outside of Philadelphia and got an arts degree in classical theater at college. But I soon learned that you unfortunately can't pay your bills doing Shakespeare and classical Greek tragedy. So I moved to Los Angeles and transitioned to an on-camera and public-speaking career. Instead of going out for jobs where I pretended to be someone else I found a job where I could be on camera and fully embrace who I am as an individual. As a host, you are very passionate about the things you talk about. I grew up playing video games. I was really into Dungeons & Dragons and Magic: The Gathering. And I was up on tech as a natural result of being a gamer. When I was younger, it wasn’t really cool to be into those things. But now because of the fandom and pop culture revolutions, all that has changed. I never in my wildest dreams imagined that I would make a career out of the things that I’ve always loved to do. My work now is sort of the perfect storm of marrying my performance studies with my hobbies. I feel very lucky to work in an industry where my passions are also my expertise. You talk about different influential films in your episode “Women in Film.” What are some films that influenced you? What was the first film that moved you? I was really into Gone With the Wind as a child. I would sit down and watch it, rewind the videotape, and then watch it again. I was fascinated by what went into the film’s production—things like the amazing overhead shots with all of the extras or background info like Clark Gable not wanting to do the movie because he didn't think he was a strong enough actor. From a very young age I knew I wanted to work in movies, which led me to studying theater. Coming from a very small town that was the only real outlet for me. Digital content creation was not nearly as prevalent as it is today. I did some indie theater. Then I did some student films in college, but I didn’t really get much of a film production education until I moved to Los Angeles. What about films that changed your view of the world? I love movies that are a journey, which let you escape the real world like The Lord of the Rings series. I think those movies teach you something about the world, even though they are very different than, say, a Schindler's List. The film that I connected with most is Moulin Rouge. I loved its creativity, its musical medleys, its cinematography and expressive costuming. For me Moulin Rouge uses fantasy to tell a real life story, which is why I think it means so much to me. Speaking of women in film, what woman has most inspired you? Without a doubt, Lucille Ball. She was one of the first television producers. Even though she started as a showgirl, she could be hysterically funny with appearing like a showgirl. She was funny in a way different that what women were expected to be. I really looked up to her growing up. Beyond film, what changes do you see happening for women in gaming and pop culture? In video games, there have been a lot of female protagonists recently who are strong and independent. They are not just a sidekick or a princess who needs to be rescued. I think the general audience is yearning for those new stories to be told just like audiences were ready for a film like Bridesmaids when it came out. Women can be very real and funny and the story doesn't need to revolve around some guy. As a woman, it's really fun to watch these changes happen, to see characters I can relate to in my entertainment world. Meet the You Know That Scene panel: from left to right, Wendy Lee, Jacqueline Coley, Trisha Hershberger, Matthew Hoffman, and Scott Mantz. As a follower of fan culture and films, you reference Wonder Woman in many of your social media handles. What makes the film and the character so special? Wonder Woman was amazing, especially in the battle scenes where we see this army of women doing some of the most amazing fight choreography I’ve ever seen. The thing I love I in her character in the film and in general is that what makes her strong is her feminine qualities. Often a strong woman is strong because of her masculine qualities. To see a female character with traditionally feminine qualities who is strong, that's really cool. The characters of Captain America and Wonder Woman have existed in comic books for years now. It is high time we see them on the screen. Where there topics covered by your panel that you would like to explore further? There are definitely more things that can be said than will make it into the final episode. It's a conversation that can go in a million directions because there are so many different women who work in all the different parts of the entertainment industry. There are so many different ways that different voices can add to the stories we want to tell. It’s a conversation that needs to continue. Sign up for the Focus Insider newsletter to be first in line for free advance screenings, world premiere travel packages, weekend set visits, and so much more! Follow Focus Features on Instagram, Facebook, and Twitter. The woman behind Focus Features' newest titles opens up about favorite film festivals and finding the best movies in the world. An inside look and clips from acclaimed writer/director Sofia Coppola's atmospheric thriller.